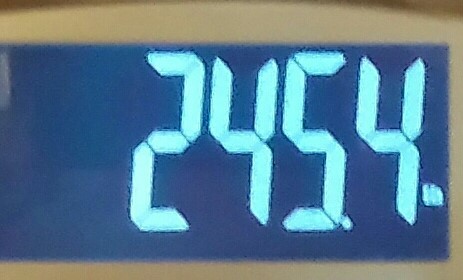 Had I not started over at Week 0 after my 12 week contest, this would also be my 40th Weekly weigh in. I got my 240s goal 🙂 Just two weeks ago, I was 261 and 261.8 the week before that. I’m now down 70.8 lbs not since Jan 13th. Just a couple weeks ago I did an 11 mile trek out at Babler State Park out in Missouri and I had a cooler in the car with bottles of water and Poweraid drinks and a couple bananas. This past Thursday, I just headed out with a single bottle of water in my hand. 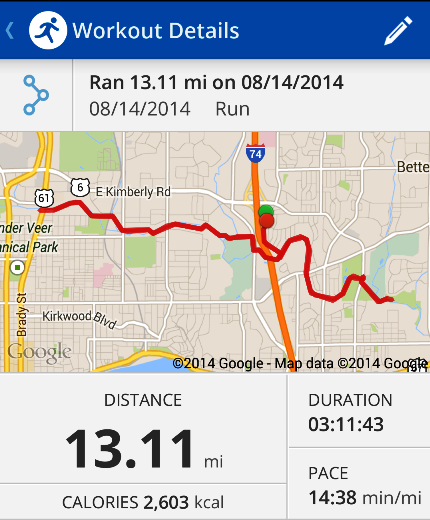 It’s been a fact with my running that all of my race times have been considerably faster than my training times. There’s simply no comparison between the two. My best time this year for the half was the Country Music Marathon in Nashville, TN with a time of 3:12:20 but my training run which was a half marathon long (13.1 miles) was finished with a time of 3:11:43. This leads me to believe the next half race I do will be under 3 hours. This entry was posted in exercise, marathon, Uncategorized, weight loss and tagged achievement, beginner, c25k, exercise, fitness, jogging, life, marathon, marathon training, running, training, underdog, victory, weight loss, zerotohero. Bookmark the permalink.